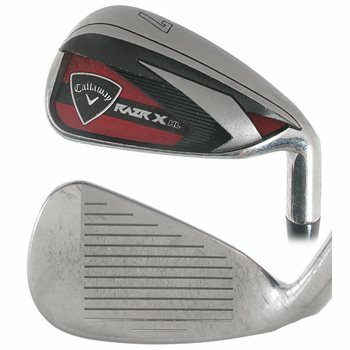 The RAZR X HL irons have a low center of gravity which allows the sweet spot to be accessible at lower impact positions. The shots will also launche higher for longer more consistent distance and accurancy. The VFT Power System precisely positions the Center of Gravity and creates a face on each iron that maximizes ball speed.